Recently, I had chance to test 10Zig 5817q thin client. While Azure RemoteApp isn’t listed on the product page as supported solution, that’s really what I needed to test as I didn’t have any on-premises deployment of Remote Desktop Services to test with. 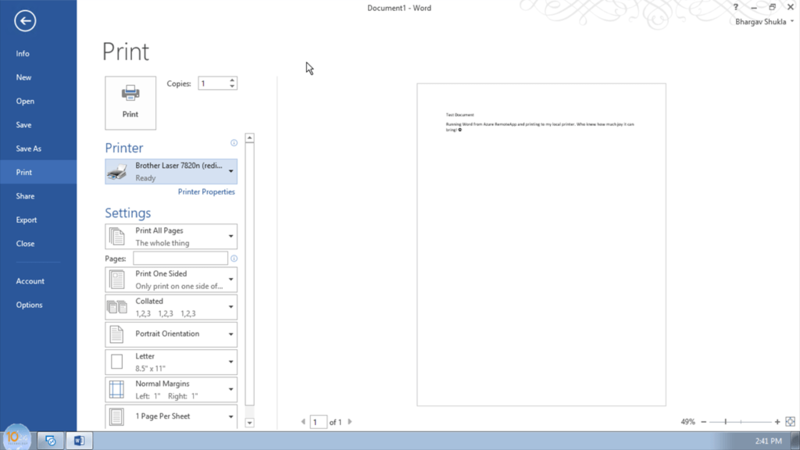 As a pre-requisite, I had already deployed my RemoteApp environment using Office 365 ProPlus template image from Azure. I published all applications such as Word, PowerPoint etc. I also configured a user to have access to published apps so I can test with it later. In this post, I just want to document my experience with 10Zig and what it takes to set it up with Azure RemoteApp. Disclaimer: I haven’t tested all the variations of what RemoteApp has to offer. YMMV. Also, I tested the thin client device from 10Zig, purely out of my own curiosity on my own time. 10Zig has no input in this article, and I don’t have any commercial relationship with 10Zig. This is not a paid review. In first order to get 10Zig working, I had to do the basic stuff, connect it to network, power it up, give it a name etc. The device runs Windows 7 embedded so the process of boot up and giving it a name looks more or less like a machine booting up from a sysprep image. I’m not going to add screenshots here as I don’t think it adds much value to the process. The device logs you on automatically after first run as ThinClientUser. This is restricted user and doesn’t have system wide access that an administrator would have. 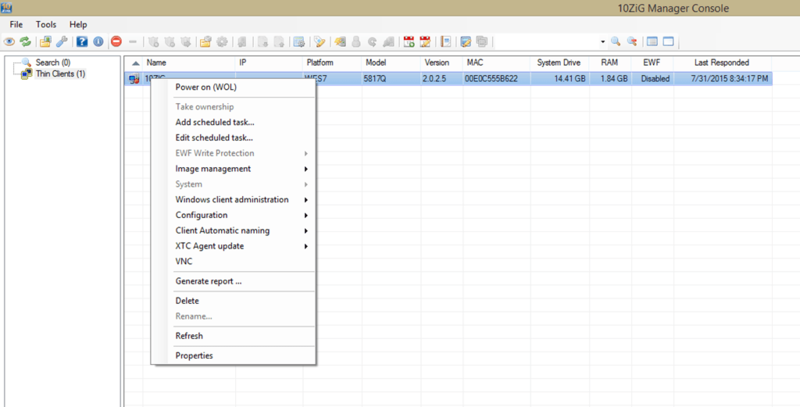 While you don’t need 10Zig Manager to manage the thin clients, I think it’s handy if you have it installed. Once you have the thin client up and running, you will need to logoff using provided method or use 10Zig manager to disable autologon and logon using built-in administrator account. 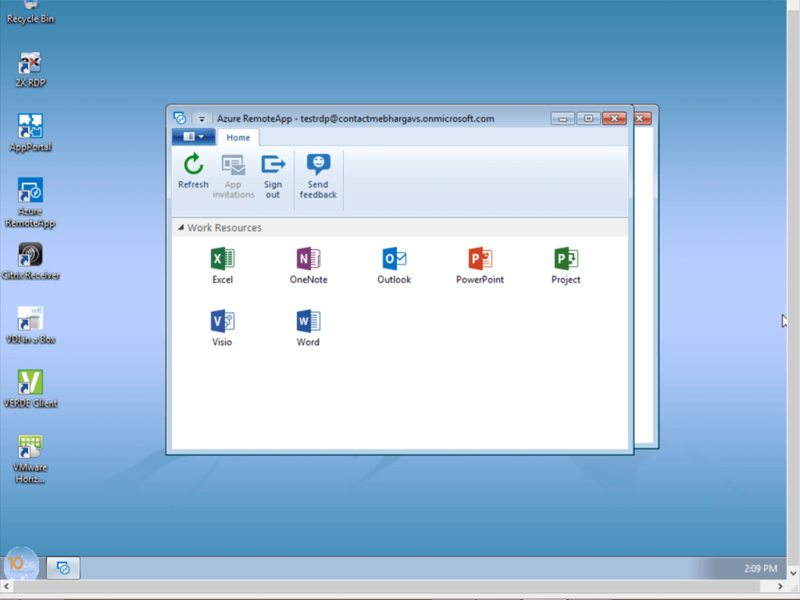 RDP isn’t enabled by default. While you can use registry script or a batch file to enable RDP using 10Zig manager, it didn’t work for me regardless of use of administrator account privileges. I resorted to built-in VNC to do the rest. You can certainly do it directly at the console as well. Here’s the screenshot of 10Zig manager. I was using it to remotely mangae and poweron my thin client as needed. WOL functionality worked as expected on my test network which is single subnet. After logging in as administrator, I needed to download and install Azure RemoteApp client from here: https://www.remoteapp.windowsazure.com/en/clients.aspx. 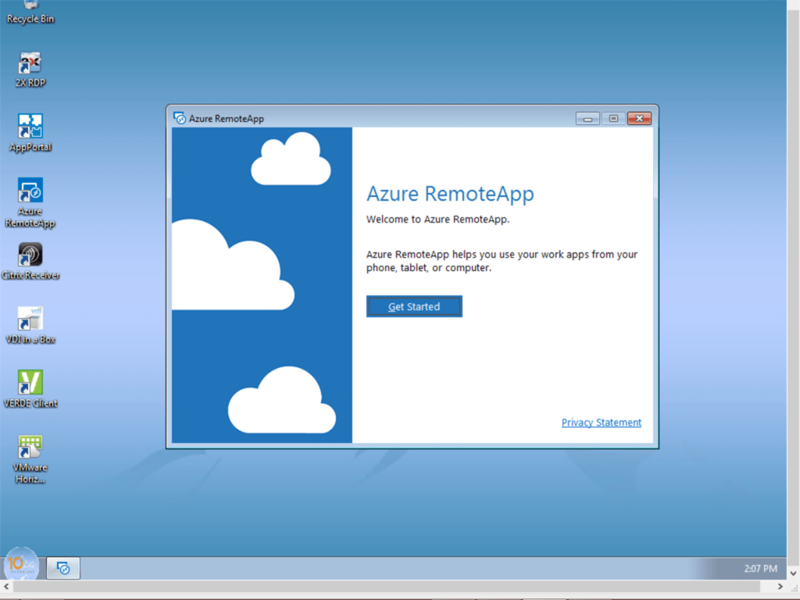 If you don’t know already, it is required to connect to Azure RemoteApp environment, you can’t use standard RDP client. The setup is pretty straightforward so I won’t bore you with screenshots. To provide seamless user experience, I decided to copy the Azure RemoteApp shortcut to public desktop and also add it to startup programs in Programdata. 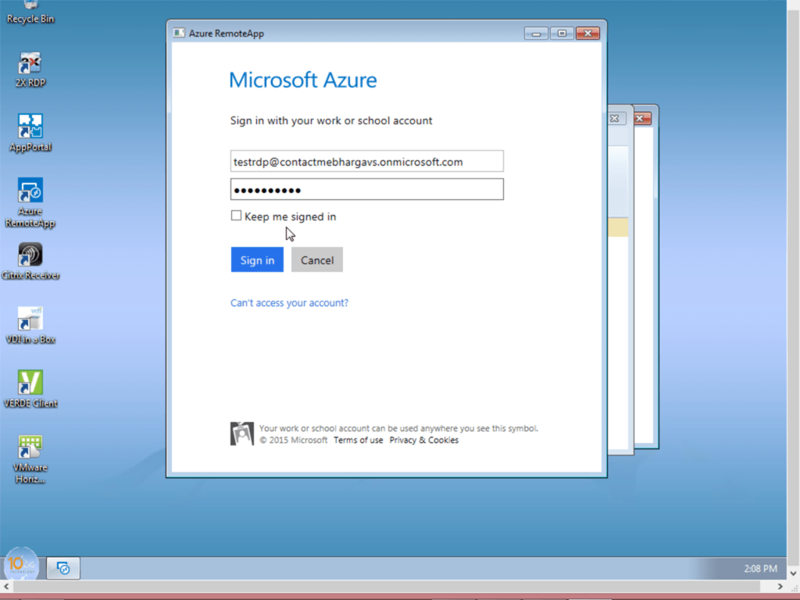 This would auto launch Azure RemoteApp client for all users after they logon. If you are looking for similar setup, hopefully this article will come handy. Cheers!